Starting a Medical Staffing Company: Huge Growth + Profitability Potential! Starting a medical staffing company now is more prosperous than ever before. The nursing (and overall healthcare employee) shortage is projected to continue to increase until 2025. Hospitals, nursing homes, and over fifty other types of clients are desperate for resources to help them find qualified healthcare professionals. Medical staffing is an $11.1 billion industry with a projected 7% growth rate each year for the next 20+ years. There are many sub-verticals within the medical staffing business that can generate profit for agency owners. What is Contract and Per Diem Staffing in the Medical Staffing Industry? Temporary contract staffing is the largest profit center within the medical staffing business. As it becomes more difficult for hospitals and other clients to find qualified nursing and other healthcare professionals, many facilities are turning to medical staffing agencies. By starting a medical staffing company, you can help clients hire contract employees that they cannot find by themselves. The majority of medical staffing companies focus mostly on placing nurses. However, there are additional viable opportunities placing over 250 other “allied health” positions. Just two examples of these allied positions are Physical Therapists and Nurse Practitioners. A medical staffing company that has the knowledge and resources to place allied professionals can significantly grow their business. Temporary contract placements are fairly straightforward. For example, a medical staffing company places a clinician with a contract in a healthcare facility on a temporary basis. This contract will stipulate a specific billing rate, specific shifts (hours) per week and a start and end date of the assignment. Contract staff may work a full-time weekly assignment or a part-time hourly schedule. Another area of the contract sector is known as per diem assignments. This assignment can be one shift at a time, an hourly full-time equivalent position, or longer-term assignments, sometimes, lasting years with no specific start and end date. Regardless, per diem staffing is quite profitable for medical staffing companies. According to the Harris Williams & Company, Healthcare Staffing Industry Overview Survey, per diem nursing alone accounts for $3 billion within the industry. How are Temporary Contract Employees Profitable for Medical Staffing Agencies? In 2016, 39 different medical staffing companies each generated over $50 million in revenue from temporary staffing. $10 billion in revenue was generated for the temporary contract profit center by adding this together. These numbers have two main implications for temporary contract employees. First, the opportunities for placements in the temporary staffing field are endless. The cost of employing full-time staff is very high for clients. Facilities may not need additional full-time staff all the time as the patient census of hospitals, nursing homes, etc. can vary from week to week. Secondly, with the severe shortage of qualified internal staff, most facilities do not have the resources or knowledge to identify suitable candidates in a market that is experiencing severe shortages of medical personnel. This market is not saturated by providers. When weighing options about which medical staffing company to select, hospitals do not take name recognition into account; rather, they are more likely to make this decision based on the capability and credibility of medical staffing companies to provide qualified employees. Facilities use multiple agencies because it is impossible for just one agency to meet all their needs. For this reason, it is possible to penetrate the market and earn a market share in geographic markets around the US as a start-up company. What are Travel Clinicians in the Medical Staffing Industry? The other large side of the staffing business is the travel nurses and allied health staff. In the contract side of the business, the majority of the travel medical staffing companies provide only travel nurses. However, the demand for allied health professionals is growing significantly. Most agencies do not have the product knowledge in the allied health area or the resources to grow their businesses in this exploding area. The travel part of the business is more sophisticated and more expensive to launch than contract staffing. Therefore, initially, many start-up companies are best served by launching their new business on the contract side. Once an adequate revenue and profit stream are achieved, additional investment to expand the business to the travel side of the industry makes sense. Travel staff (by definition) must relocate to work in a geographic location at least 50-75 miles from their home, work full time and typically commit to work at least 13 weeks. Also, some facilities are now even requiring clinicians to live at least 250 miles away from the facility to be considered a traveling employee. Travel staff can work within their home state, as well as many states throughout the U.S. using three different regulatory methods. How are Travel Staff Profitable for Medical Staffing Agencies? Compared to the $3.6 million they spent in 2016, J.W. Ruby Memorial Hospital in the West Virginia/Pennsylvania area spent over 10.4 million on travel staff in 2017. UAB Hospital in Birmingham, Alabama has avoided bed closures and surgery cancellations by utilizing travel staff. In 2016, the overall travel staff revenue grew by 23%, according to the National Association of Travel Healthcare Organizations. Due to a lack of non-payroll expenses (retirement, vacation, training, etc. ), travel staff cost hospitals $6 less per hour on average than permanent employees. With more hospitals realizing the benefits of hiring travel staff through medical staffing agencies, these numbers will continue to grow. Additionally, millennials are twice as likely to travel as older staff, making them a larger presence in the medical staffing workforce. Higher pay: Travel staff members are compensated well for their efforts, with both taxed and tax-free money. Some compare two different agencies for the same assignment and relocation packages. Professional growth: Working in a new setting will yield employees the opportunity to diversify their resume. Personal adventure: With a new area to explore, staff can enjoy regional culture. If you are looking into starting a medical staffing company, then employee satisfaction should also be a major consideration. Checking in on travel staff to assess progress and answer questions will go a long way to make them comfortable in their new position thus yielding a higher earning capacity for your medical staffing company. What are Allied Health Professionals in the Medical Staffing Industry? Allied health positions do not make up the massive market share that travel nurses and contract nurses hold. However, they do represent approximately 22% of the total medical staffing industry placements, according to Staffing Industry Analysts. How are Allied Health Professionals Profitable for Medical Staffing Agencies? Given the unique qualifications, allied health professionals are difficult for hospitals to find. They are also highly sought after by hospitals with a vacancy. Consequently, allied health placements are also very profitable for a medical staffing company. 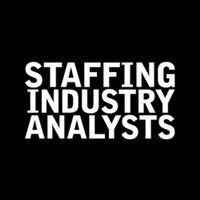 According to the US Allied Health and Advanced Practice Benchmarking Survey of 2017, staffing agencies earned a total of $429 million for allied health placements. With higher demands and lower availability, average billing rates ranged from $52.08 for basic positions to $81.28 for pharmacists. As the medical industry is experiencing a medical staffing shortage, hospitals will need the expertise of qualified specialists. Medical staffing industry experts believe that allied health has the highest potential for growth as a profit center. Allied health professions will be a key source of income for individuals starting a medical staffing company. Nurses are essential members of the team that treat patients. However, their payroll and benefits are paid through facilities operating budgets. Therefore their services are a pure cost for these facilities. In contrast, some allied health professionals serve as profit centers for facilities. For example, the treatments provided by Physical Therapists and Physician Assistants are “marked up” for profit and billed to third-party reimbursement sources such as healthcare insurance companies, Medicaid, and Medicare. Even though, both nurses and the for-profit allied medical professionals are in great demand; sometimes facilities will cut the number of nurses they are using as long as they are not sacrificing patient safety. However, they are more likely not to do without an allied health professional that generates profit for them. 4. 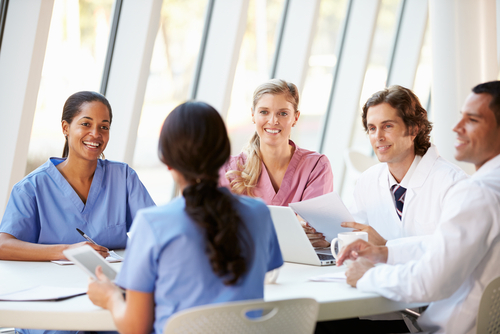 Why Should You Start a Medical Staffing Company? The goal of a medical staffing agency is to act as an intermediary between hospitals and health professionals seeking employment. Education Gap: Over the years, nursing programs at accredited universities turned down over 70,000 nursing applications. Those who are qualified to teach these programs often opt to remain in healthcare facilities, where the pay is higher. So, colleges often lack the internal infrastructure to support these students’ educational endeavors, despite student qualifications. Ultimately, this factor is largely responsible for preventing the steady replenishment of industry personnel. The Retirement of Existing Clinicians: Recent surveys show that many of America’s baby boomer clinicians intend to retire in less than a year. For example, the majority (73%) of Baby Boomer nurses plan to retire in three years or less. Thus, hospitals will have many positions to fill in the coming years. Baby boomer treatment: As Americans grow older, their need for high-quality, long-term treatment becomes greater as well. To properly treat patients with demanding needs, hospitals need staff that can aid in this process. Exploring (and maximizing) all possible revenue streams will help your medical staffing agency turn the highest profit. When starting a medical staffing company, it is essential to build a team that can earn income from all of these sources. With ongoing support from staffing consultants, your agency can enjoy many benefits. At Medical Staffing Consultants, our team can help you to make profitable placements across the spectrum. Contact us to learn more at 800-764-2966 or info@medstaffconsultants.com. Interested in learning more & scheduling a free initial consultation? Since 2003 Medical Staffing Consultants (MSC) Has assisted entrepreneurs in launching, operating and growing successful medical staffing and recruitment companies. We are still the only non-franchise company in the industry, and our network of clients has grown to over 250. Msc’s proven, unique business model, and turn-key programs, based on more than 30 years industry expertise, offer individuals with no previous experience, the opportunity to successfully capitalize on the national shortage of healthcare professionals. We appreciate you taking the time to get to know MSC better! Please feel free to reach out with any questions or if any concerns arise. Please click the button below to view our contact options.